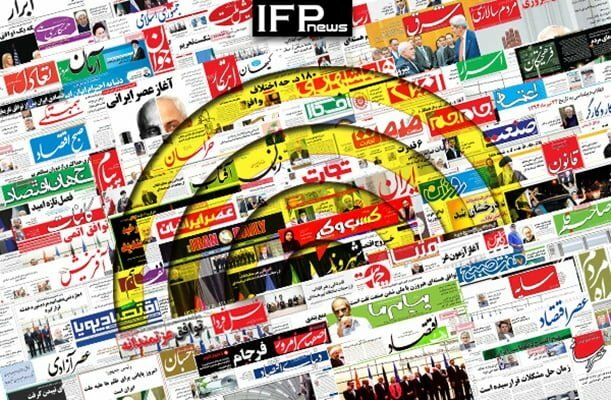 IFP has taken a look at the front pages of Iranian newspapers on Saturday and picked headlines from 23 them. IFP has simply translated the headlines and does not vouch for their accuracy. Newspapers on Saturday covered the remarks made by the Leader of the Islamic Revolution Ayatollah Seyyed Ali Khamenei in a meeting with the families of Iranian martyrs killed in the fight against terrorism in Syria and Iraq. Donald Trump’s move to dismiss all US ambassadors appointed by Barack Obama also received great coverage today. US Secretary of State John Kerry’s remarks in his goodbye letter, particularly those calling Trump to maintain pressure on Iran and its missile capabilities, were also widely covered. 4- 85 mcm of Iran’s Gas Output Has Gone Missing! 3- Women Not Allowed! Official Says It Is Below Women’s Dignity to Ride Subway Trains!